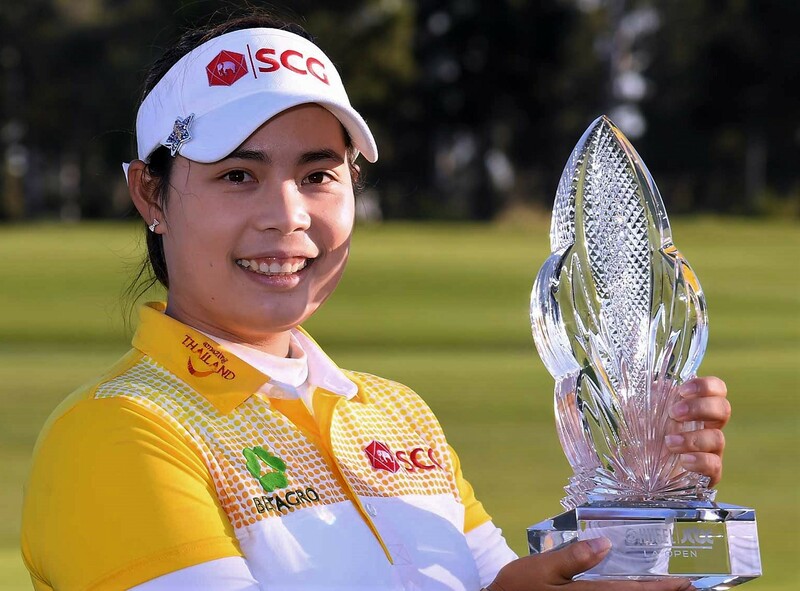 LOS ANGELES – Ariya Jutanugarn could hardly watch. She stood off to the side of the 18th green at Wilshire Country Club with her mom and a handful of friends as older sister Moriya held off a charging Jin Young Ko for her first LPGA victory. When it was over, Ariya embraced her mother in a heave of sobs. The former No. 1 hadn’t been this emotional for any of her own seven victories, not even the Ricoh Women’s British Open. The Jutanugarns join Annika and Charlotta Sorenstam as the only set of sisters to win on the LPGA Tour. Moriya, 23, had been runner-up in three previous starts, most recently taking a share of second at the 2018 Honda LPGA Thailand. “I think they are actually crying more than me,” said Moriya, laughing.